Lake Tahoe Limousine services is located near the Reno-Tahoe International Airport serves many regional airports including the Reno-Tahoe International, Northern Nevada, Lake Tahoe FBOs (Fixed Based Operator for private planes and jets), Sacramento International and San Francisco International. Lake Tahoe Limo Rentals has a variety of leisure and luxury fleet sedans and limos to choose from suitable for almost any occasion, including limo party buses, Hummer and Excursion limousines, traditional Town car limos and mini buses. Airport Transportation, Special Occasions, Sightseeing and more! Features: Reno Tahoe Limousine is a premiere rental company that offers its luxury services throughout the Lake Tahoe and Reno area. Lake Tahoe Limo Rentals are a great option for those celebrating special events such as birthdays, anniversaries, bachelor and bachelorette parties. One can feel and look like a celebrity for a night or ride like royalty to a special event during the day. Know Before You Go: Whether one is traveling within the Lake Tahoe area or wine tasting at the vineyards in Napa Valley, Lake Tahoe Limousine Services can accommodate any traveler’s plans. Lake Tahoe Limousine Services offers personal airport pick-up, with a greeter waiting with a sign at the luggage claim or tarmac. Truckee Limousine Service has experienced drivers that are knowledgeable of the Reno and Lake Tahoe, making great sightseeing guides. 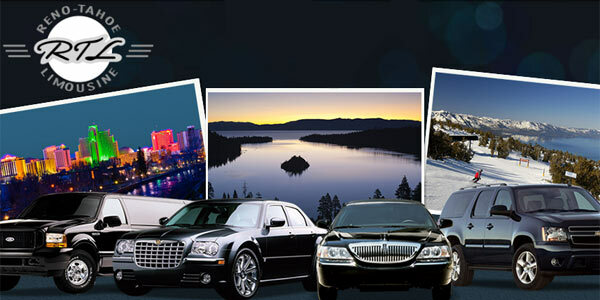 Lake Tahoe Limousine Services provides 24 hour live service, seven days a week. For inquiries and reservations call 775-348-0868.